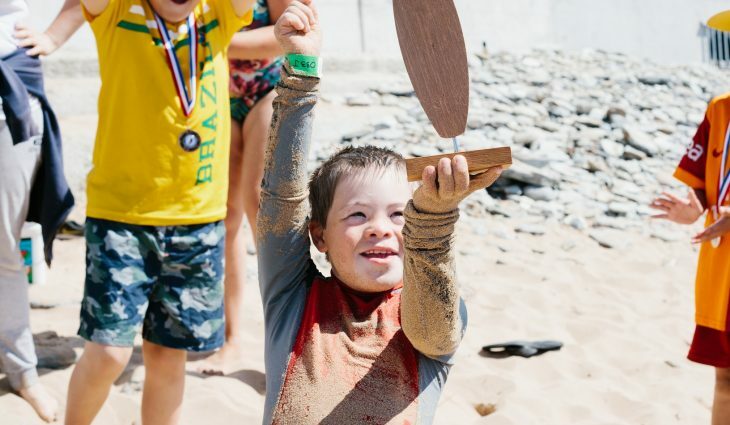 A child who cannot walk or sit up straight due to severe brain damage has won an award – for surfing. 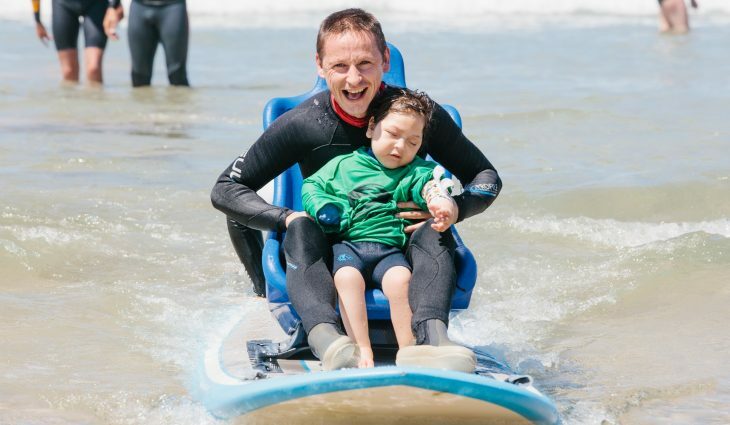 Four-year old Jacob Pike caught his first wave in his dad Glen’s arms at a special surf event for disabled children, organised by charity The Wave Project. Little Jacob, from Redruth in Cornwall, can only say one word – ‘Again”. But his mum Alex said he used it every time he caught a wave with his dad at the event in Watergate Bay, Cornwall, this weekend. She said: “Jacob could not sit unaided due to severe and extensive brain damage but surfed in his dad Glen’s arms on the charity’s specially adapted board. 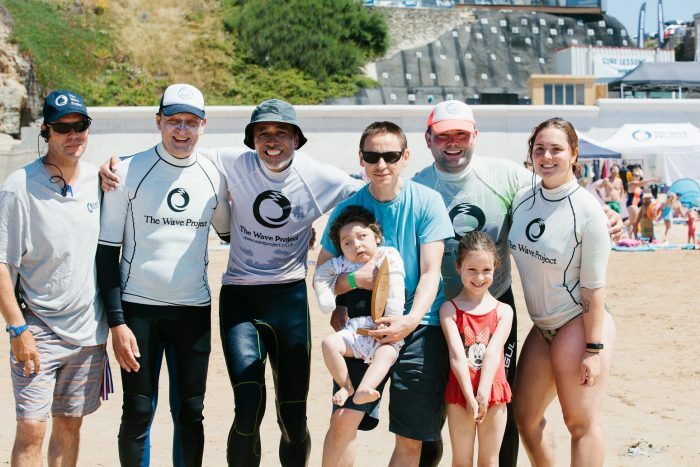 Jacob, who suffered a stroke shortly after birth which left him permanently brain damaged, had never been in a wetsuit before – let alone tried to surf. But thanks to specialist equipment and an army of volunteers from The Wave Project, including a crew from Cornwall Fire Service, he was able to catch his first wave in his father’s arms. Jacob’s bravery won him the MS-Amlin award for Outstanding Courage, presented to a child who has overcome major barriers to try surfing. 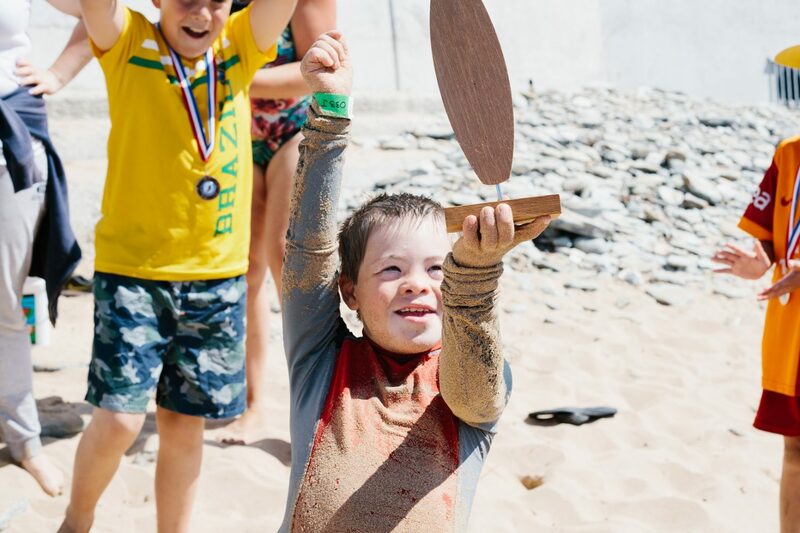 Another award winner from the event, Isaac Birchall, 7, from St Austell, has Down Syndrome and had also never surfed before. 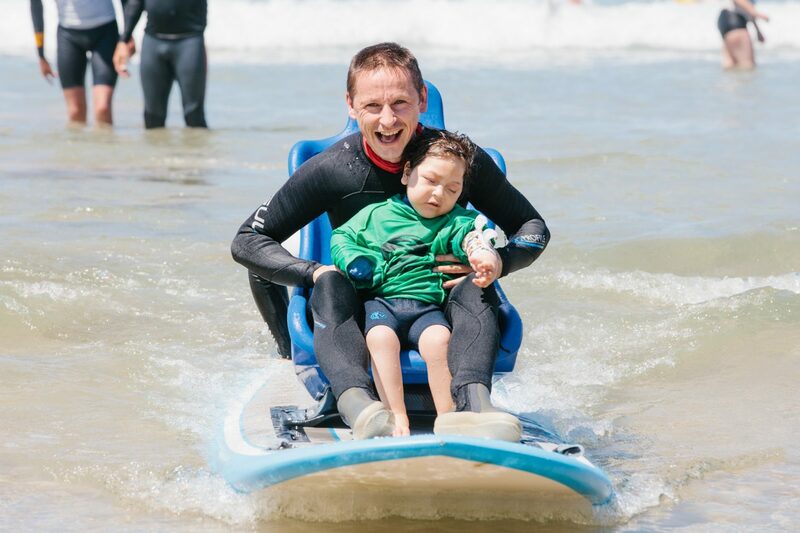 Both Jacob and Isaac were taking part in a weekend of surfing for disabled people organised by surf therapy charity The Wave Project. 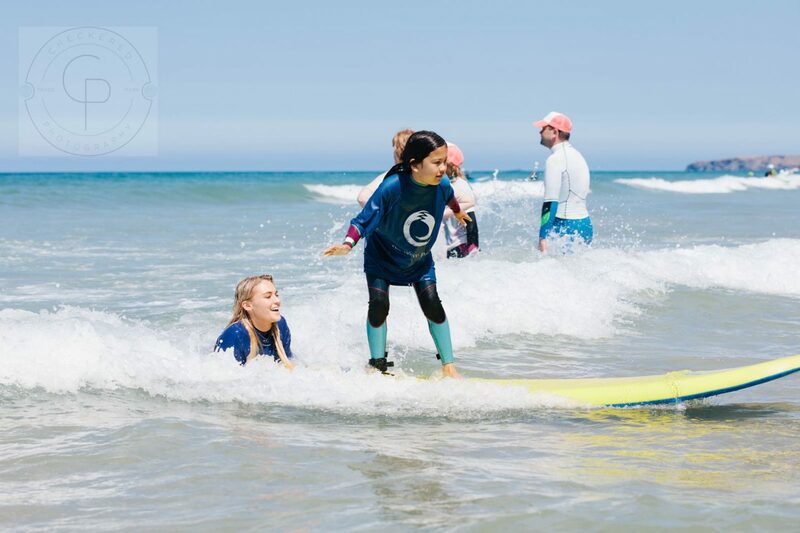 Over 100 brave children and adults with disabilities and complex needs proved that surfing is possible for everyone at The Wave Project’s free charity event, the Summer Surf Challenge. Participants were treated to perfect clean waves and bright sunshine at Watergate Bay. They also had 1:1 support from volunteers, who came from as far away as North Yorkshire to take part. Firefighters from Cornwall Fire Service manned the charity’s specially adapted surf board to support children and adults with severely complex disabilities. Alongside them were a team of London city brokers from Insurance firm MS-Amlin, which sponsored the event. Local volunteers also supported participants and guided them into the water. Some surfed on foam boards with handles, while others manage to surf independently with the support of a surf mentor from The Wave Project. Wave Project CEO Joe Taylor commented: “This was the best Surf Challenge event we’ve ever had, in terms of participants, volunteers and conditions. “The stunning weather was matched only by the rays of joy on the faces of participants as they rode those crystal-clear waves. It was the fifth year that the event has run in Cornwall, and was bigger and better than ever, according to the charity.